This week saw Strawberry Star Homes’ LU2ON development shortlisted for the Best Off-Plan Development category in the First Time Buyer Awards. Flanagan Lawrence’s Union Building project is the first phase of the area masterplan. 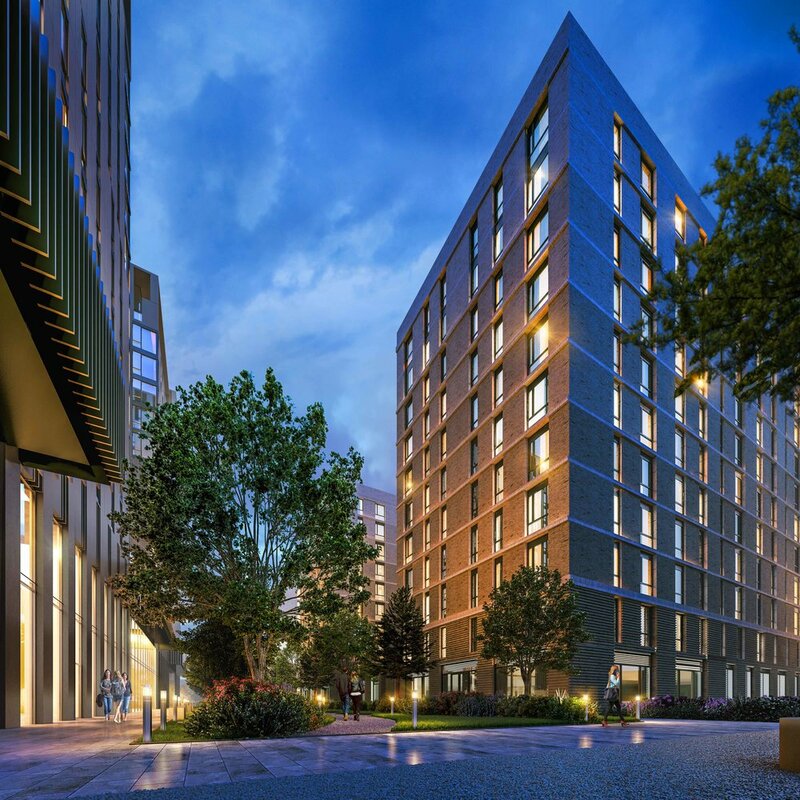 Situated next to Luton Airport and Luton Airport Parkway Station, the LU2ON development regenerates a prime location, providing over 785 residential units, retail space, a hotel, and large amounts of public space, with a public garden running through the site. The Flanagan Lawrence-designed Union Building will deliver 401 residential units, as well as commercial uses and amenity spaces. The Union Building responds to the masterplan’s public space, activating different aspects of the site, with commercial units, a gym, concierge, and residents amenities. Internally, a mixture of studio suites, one and two bedroom apartments all benefit from roof terraces and private gardens. The Awards are decided by public vote, which can be done here.